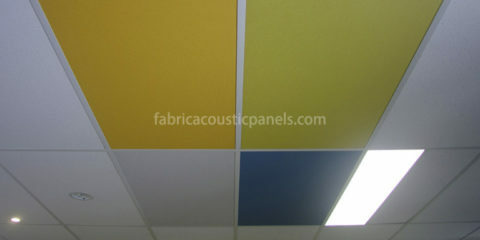 Sound baffles are a kind of special fabric acoustic ceiling that is suspended on ceiling. 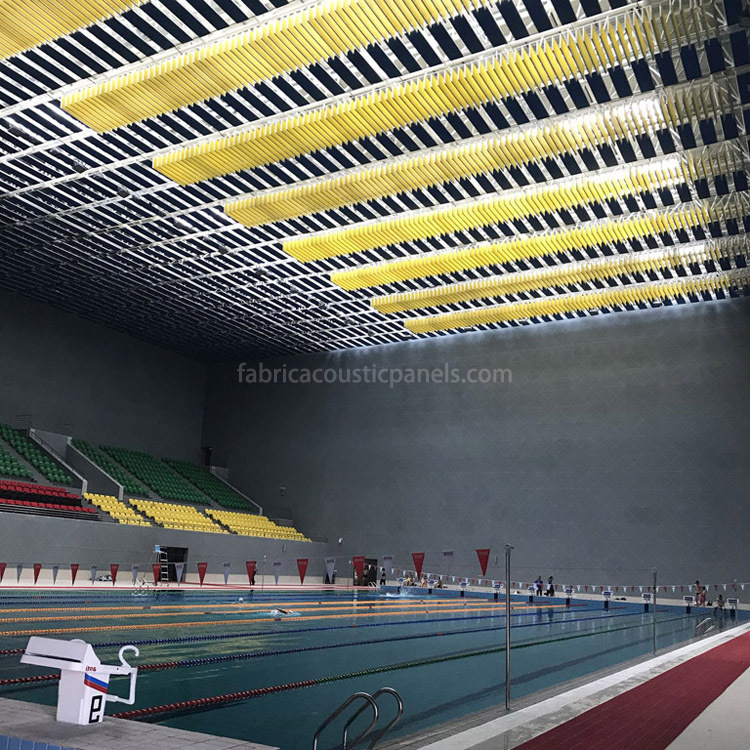 Compared to fabric wall panels, sound baffle boards have stronger frame, higher thickness and different installation methods which make them have much higher acoustic performance than sound baffles wall panels. 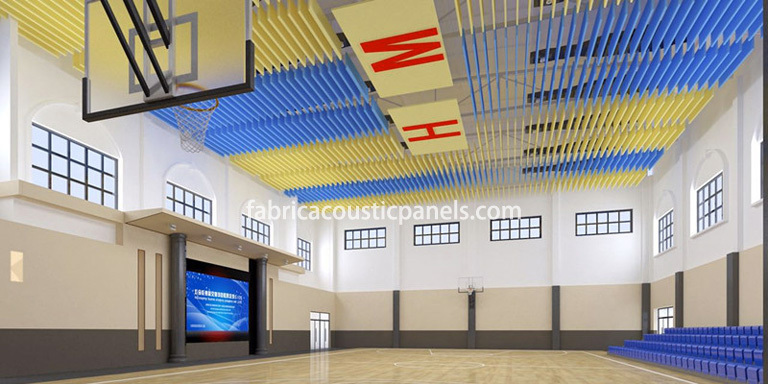 They are often used as suspended acoustic ceiling in stadiums, office buildings, traffic station, office acoustics, broadcast, government & municipal buildings, multi-purpose rooms, restaurant acoustics, theater, and so on. The core material of noise baffles is glasswool. Aluminum frame protects the edges and corners from dents and injuries. Attractive, textured fabric is 100% polyester that offers a variety of colors to match your style. Quality design and workmanship made in China. 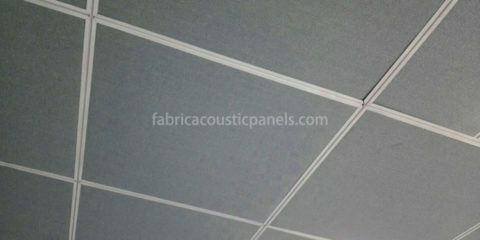 For our standard fabric sound baffling material, we recommend to put it on T-bar. If you don’t like the T-bar style. 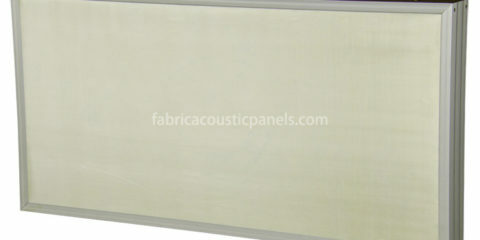 We can customize the sound baffling panels with an aluminum frame at an extra cost. Then you can drill small holes on the frame and pass the screws through the holes and into the ceiling (preferably joists or other solid structures). 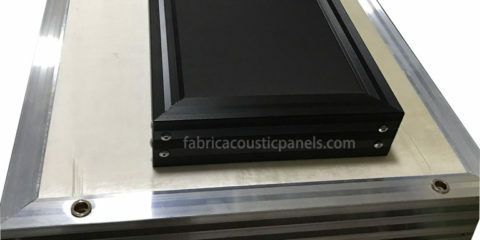 The acoustic baffles frame is sturdy and will support the screws without problems. If you are using drywall ceilings, make sure to use something suitable for dry wall anchors somewhere on the dry wall. 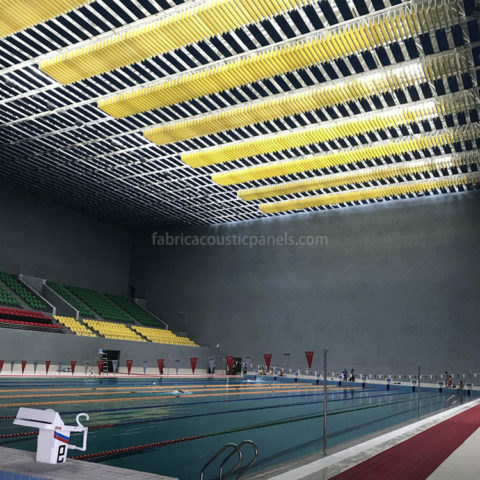 Of course, no matter what method you choose, use common sense to ensure that the sound absorbing baffles are securely connected.